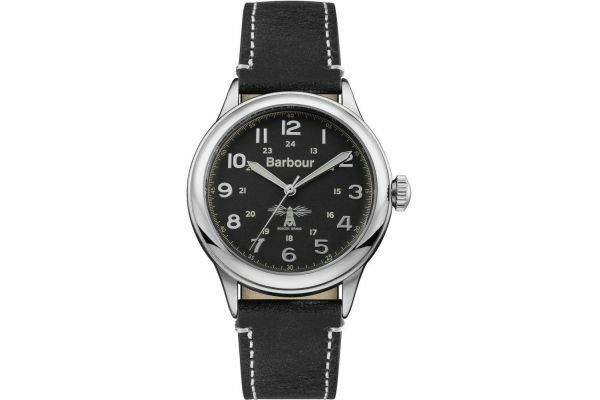 The Barbour BB056BKBK is a mens casual every day watch, found in Barbour's Murton collection. The black leather strap of this watch features white stitching, supporting a polished stainless steel case. The black and steel theme continues into the dial with clear numerals for the time and for the 24 hour clock. With a reliable quartz movement and 2 year Barbour guarantee, this watch offers the wearer practicality and style. For us to size your new Barbour Murton watch as accurately as possible, please take a look at our downloadable Watch Sizing Guide.